This Women’s Day is not just about celebrating your accomplishments. It’s also about recharging your batteries to take bigger, bolder leaps. And what better way to do so than by adding even more fresh doses of charm to your effervescent personality? Because when you look and feel at your best, the journey to greatness gets easier and even more exciting. Your charm, warmth, and grace have shone through the thick and thin of life. It’s time you revitalized your skin and added youthful, mesmerizing hues to your gorgeous look. 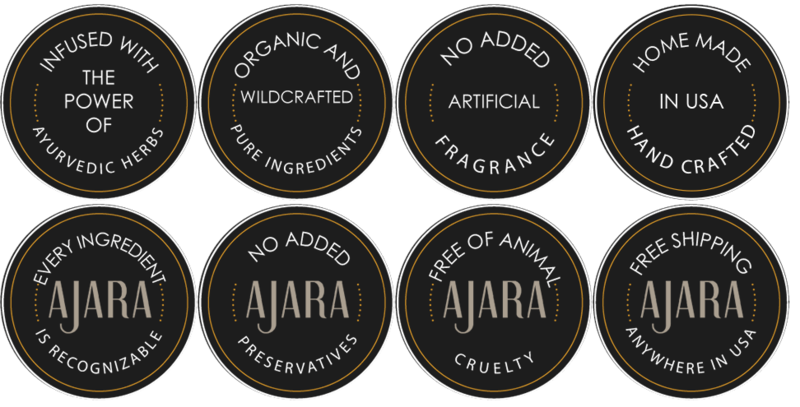 And to ensure that you be at your Wondrous best, we have on offer a thoughtfully-curated, adoringly-designed WONDROUS WOMAN pack of the choicest of Ajara products. Not just that. By ordering this SKINspiring pack straightaway, you get to have 2 of the most luscious, super popular pick-me-ups for your perfectly soft, kissable lips FREE. (Pssst... also get FREE US shipping!). Some believe in "masks" too. Now, it's you who gets to wear the mask made from your Skin Superheroes. Directions: You can use this mask one to two times per week. Take a pea-sized amount of the mask onto your palm or in a mixing bowl. Add a few drops of water to create a thin consistency. Apply a light layer to the face and neck for approximately 20 minutes. When dry, moisten with warm water and rinse thoroughly. It may also be used as a ‘spot treatment’ on pimples. 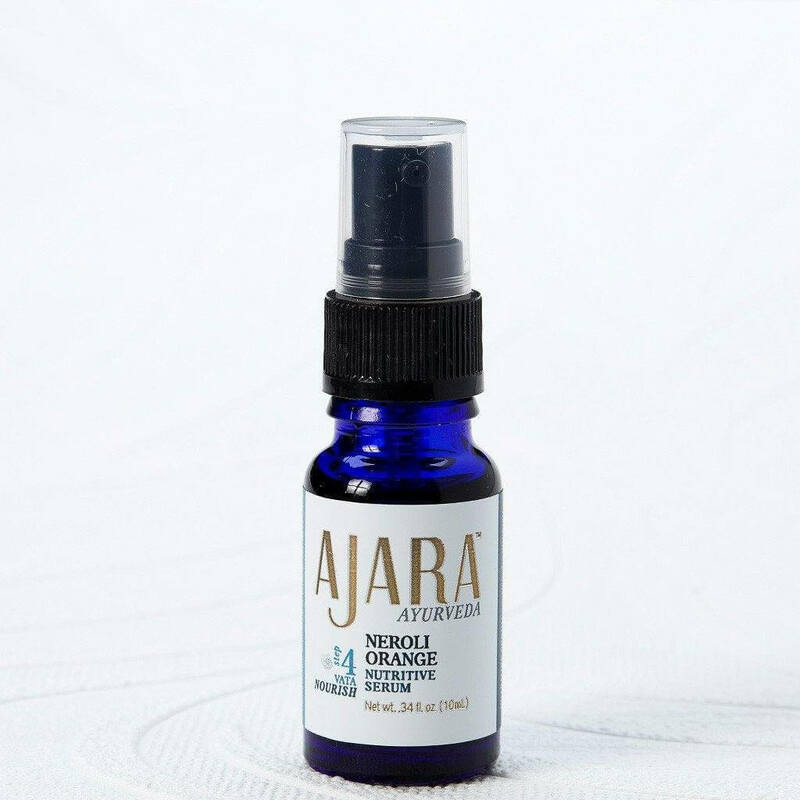 Ajara’s Neroli and Orange Nutritive Serum is a sweetly scented blend made specifically to nourish, moisturize, and rejuvenate dry skin without feeling greasy. However, it's not a traditional formula. The fresh presence of citrusy Neroli and orange bring a twist to the warming and moisturizing sesame oil - the most used traditional massage oil in Ayurveda. With its aromatherapeutic essential oils, this serum has been specially formulated for dry, mature skin as it helps to restore moisture and provide nourishment. Warming sesame oil and soothing Neroli oil work wonderfully together in this hydrating serum. Not only that - it will help ground body & mind for the Vata season of life. I love love love this serum. I've been using the kit for mature skin ..., and have ordered it twice. I can really see a difference in my lines and my skin. This stuff does what it says it will do. Peggy B., USA - Results may vary from person to person. fabulous final coat of yummy goodness over the Ajara Neroli Orange Nutritive Serum . I really love the aroma therapy in every jar as well as the generous aromas. Lynette A., USA - Results may vary from person to person. Kay D., USA - Results may vary from person to person. Apply one pump of serum to face and neck while skin is still moist from cleansing or toner. I love this product, it is mild and smells so good. It is a great serum for dry skin. Aileen F., USA - Results may vary from person to person. Experience the benefits of these herbs on your own skin now! Made with pure organic ghee and fragrant essential oils, this eye butter is sure to provide the rejuvenation your eyes need! Formulated specifically for those concerned with signs of aging that include fine lines and crow's feet. The toning effect of sandalwood in this product helps reduce the appearance of pores, uneven skin texture, and a sagging and aging look, thereby bringing life back to the face. It understands that your skin needs toning and softening, but believes in being gentle about it. Its heavenly aroma in itself will be enough to make you feel calmer. Rose flower oil is described in the Ancient Ayurvedic texts to enhance beauty, promote good complexion, and balance Pitta. It also goes on to reduce the appearance of puffy eyes and under-eye bags. 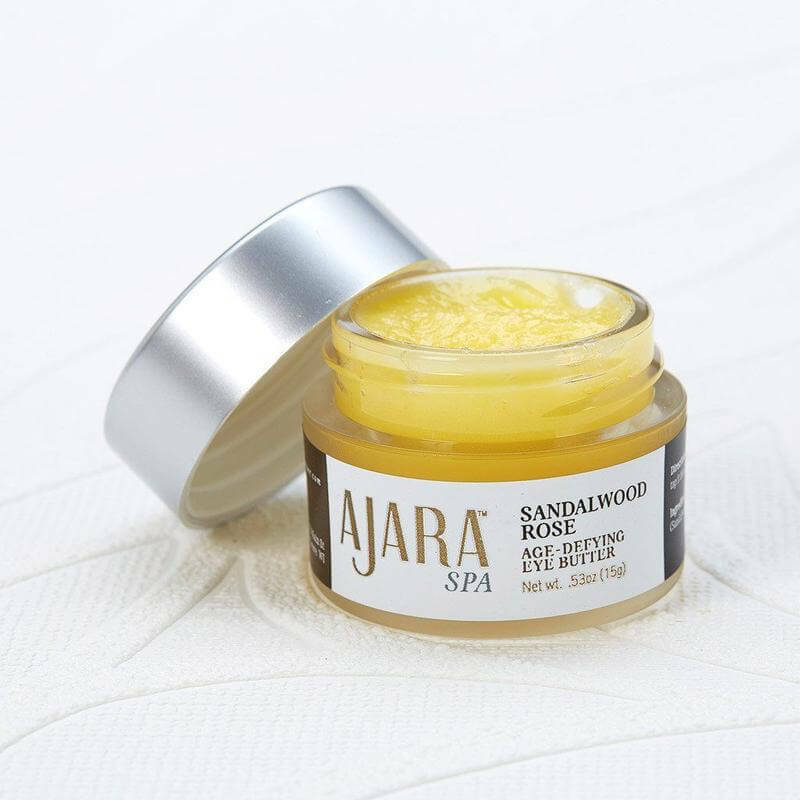 I’m loving the Ajara eye butter. It’s wonderfully hydrating and rich. 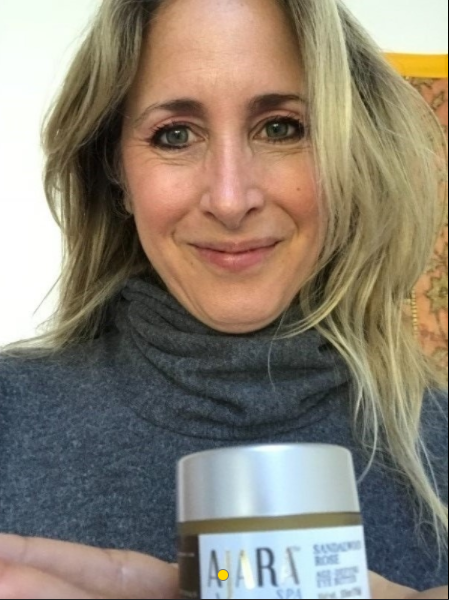 I’ve been thrilled with all of the products I’ve purchased with Ayurvedic Experience! Pamela A., USA - Results may vary from person to person. Amazing! This is the most amazing eye cream/butter! I am about to begin my second pot of this. I cannot live without it! It is expensive but a little goes a long way. You won't be dissapointed! Order it now! Joanna D., USA - Results may vary from person to person. Your favorite morning wake-up drink... in a lip balm! Perfect for those dry, cracked lips. Let the flavors of your preferred tea assuage your senses and hydrate the sensitive skin of your lips with loving nourishment. The refreshing scent of peppermint with a touch of sweet vanilla to protect the sensitive skin of the lips, removing the dead skin cells and nourishing them with much-needed hydration. Get your Wondrous Woman out with this wonderful pack! Want instant, effective results? Get the Wondrous Woman Pack Now! Get 2 Free Lip Balms and Free Shipping! 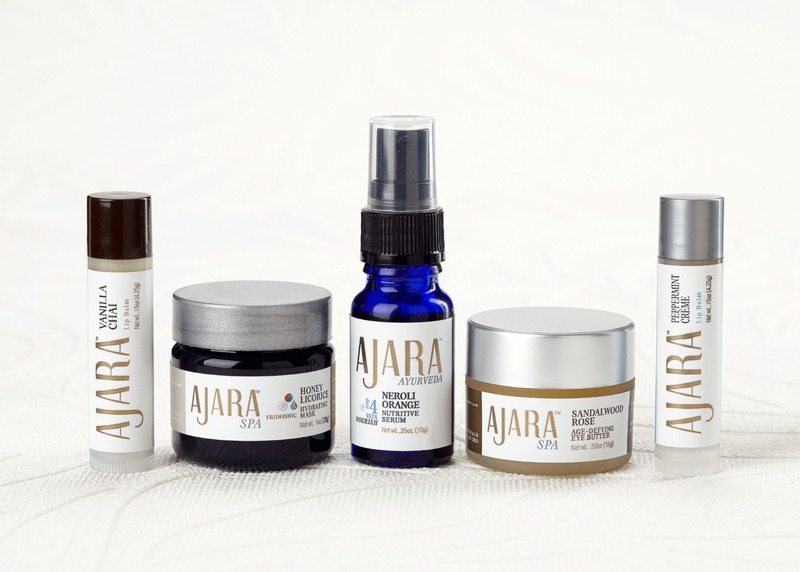 AJARA PRODUCTS ARE PURE, NATURAL, AND EFFECTIVE. 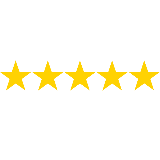 you get a 100% Satisfaction, 30-Day Money Back Guarantee. 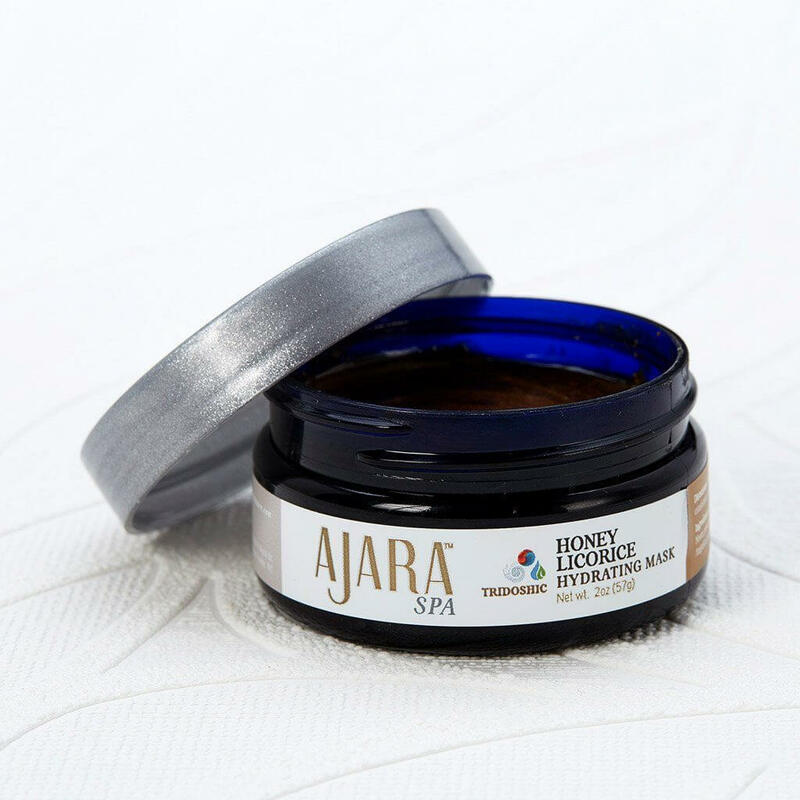 Something unique about Ajara, in fact, is its USP - every single ingredient in every single product of the Ajara skin care line is recognizable. It's important for you to know what you're putting on your skin and what's going into your blood stream through your skin pores. It's important that you know it's safe and natural. Each of the Ajara products are carefully formulated on the basis of Ayurvedic principles. Each product caters to a specific need of the skin and yet they're all very nurturing with only the most effective herbs and essential oil combinations. All essential oils are pure and come from the most reliable resources and thus carry their own original fragrance, which in itself is so healing and transporting. When you use Ajara products, you'll know what real nature smells like and it feels calming and soothing for the mind, body and the spirit. Want to be sure of the difference? Just pick up any other skin care product in your home and compare the way they smell and feel and you'll know what natural really means. 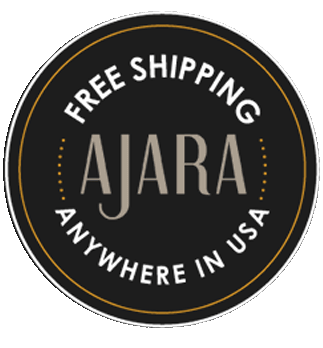 While the organic ingredients come from various parts of the world, all of Ajara's products are hand-made in the USA. Each bottle is packaged with considerate love, affection and appreciation of you, to ensure the safety of every household and to serve you with the very best. Please note that none of these products are medicinal or claim to treat a disease or skin condition. If you have severe skin problems, then please consult your physician or dermatologist and feel free to discuss the use of natural products for skin care. However, these are totally natural products, free of any chemicals or known irritants, and are meant to provide people with sensitive skin a gentle form of daily skin care. These are a good alternative to the many harsh skin care products available out there. The statements made have not been evaluated by the FDA.